I would like to give all the Mother's a special hug for Mother's Day. This is the first year my Mother's not been with me to celebrate this special day. Here's a few Mother's Day projects to inspire you. For the above project I've used the Tonic Paper frame. Punched four strips approximately 3" longer than the side of the frame, using the Rose Strip punch. I've used Distress inks in brown tones to colour the edge of the frame and the punched strips. Add a photograph to the centre of the frame - this could be a photo of you and your Mum or a vintage photo, as I've chosen. Stick the punched strips onto brown card then adhere to the centre of each side of the frame. Leave the corners unstuck at this point. Cut both the strips at each corner at a 45 degree angle. Then stick down the corners. I always use the Tonic Funky Glue Pen as I find it easy to use. 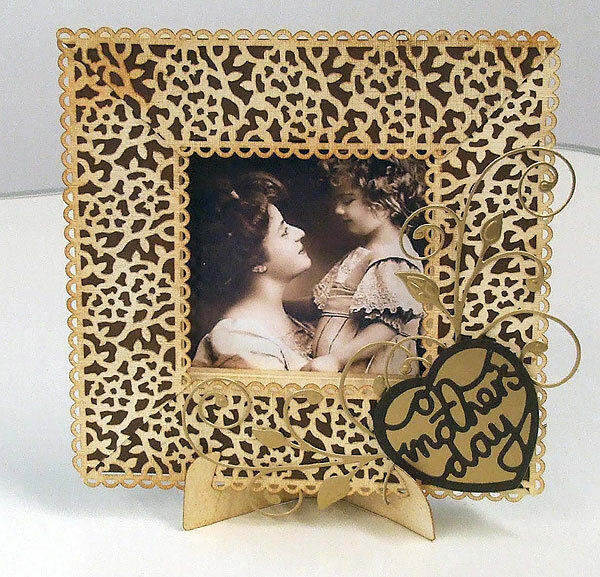 Decorate the frame with the On Mother's Day sentiment from the Tonic Affections die range and some delicate swirls from the Frond Finesse die set. This is an A5 card. 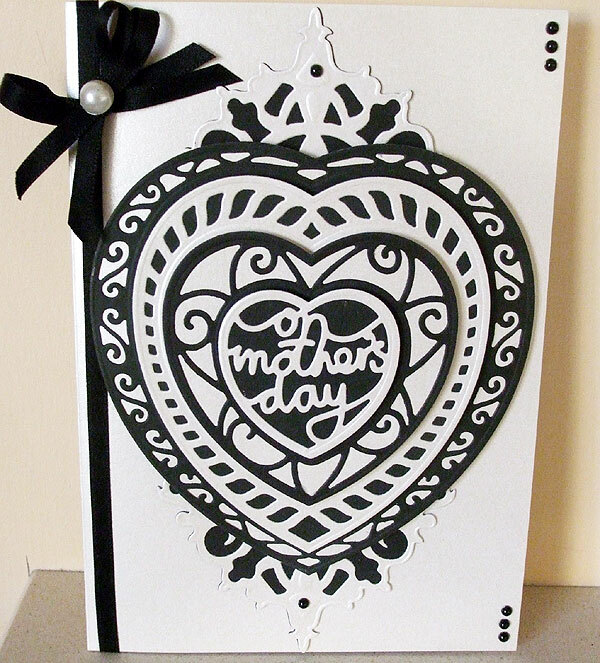 I've used the Tonic Affection die range and extended the heart base dies with the Tiara Corner dies. Then finished it off with some ribbon and pearls. I am having a problem at the moment with getting my self adhesive pearls to stay on my cards, so now I put a tiny spot of glue from the Funky Glue pen and I no longer have a problem.